The bottle you choose says a lot about what is inside. Once you decide on the type of bottle you want to use, the choice of closure is easy. If you are bottling your mead in a wine bottle, you need to go with a cork. If you want to use the 12oz or 22 oz Beer Bottles , go with the crown cap. You can even use a crown on American style champagne bottles. The biggest consideration when choosing your bottle type and therefore the closure is perception. Usually the type of mead dictates what type of bottle you should choose – for a more drinkable, session mead i would opt for a 12oz bottle. People are also expecting that “pssst” noise that comes from releasing a crown cap off a beer bottle, so its good to have some carbonation if you’re planning on using a crown cap. I wouldn’t bottle a still mead in a 12oz beer bottle. If people don’t hear that CO2 escaping, they might think something is wrong with the contents. Mead usually tastes better the longer you store it. I even like hiding some of my good meads within my collection so i forget about them and find it months or years later – otherwise, it’ll be consumed too quickly. If you are making a short mead (also known as quick mead, or session mead) that usually has a lower abv and is meant to mature quickly so you’re not going to want to age it that long. Therefore a crown cap works great.Standard crown caps should not be used for extended storage, though quality Oxygen Barrier Caps do just fine. Otherwise, mead with higher alcohol content should be aged longer to alow it to mellow out. This type of mead would improve with a year or more of storage. A corked bottle is best for mead meant to age – make sure to use a high quality cork though! Dip it in Bottle Sealing Wax for an added barrier and style. This is something every mead maker tends to think about – whether your brewing at home or commercially. The cost of corks is significantly more than crown caps. This is especially true of the high quality corks (which i don’t recommend using cheap ones). This difference is somewhat negligible if you make mead ever so often, but it adds up if you’re making a lot – especially for commercial meaderies. On Amazon, a bag of 100 corks costs $20 while 144 oxygen barrier crown caps costs $7. 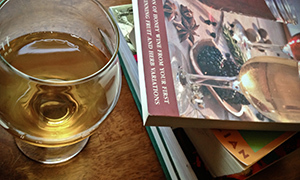 As I mentioned above – no need to cork mead that will be consumed right away! 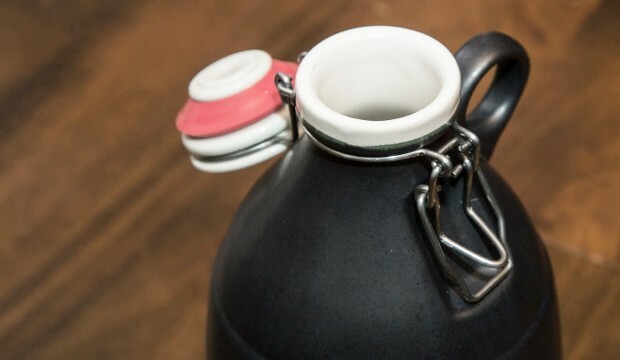 The Swing-top bottle made popular by Grolsch Beer is a cool and easy way to seal your mead. The closure is connected to the bottle, always ready for opening and closing. Make sure the gaskets, the red rubber rings, are well sanitized. The gaskets also deteriorate over time, so if you’re reusing the bottles over and over, its important to get swingtop bottle replacement washers. Swingtops can be good for short term storage, but i wouldn’t use them of long term aging. The bottles tend to be expensive up front, but they can be used over and over (if you don’t end up giving them away). They elevate the bottle a bit, so if perception is something you care about – this would be right up there. You can get 12 Swingtop Clear 16oz Bottles on Amazon for $35. The ZORK is a new corking option that has been recently developed. Its a peel and reseal closure that is a nice modern solution as a wine bottle closure. It allows the bottle to be easily opened without a cork screw yet it contains a cork. The cork portion can be used to easily reseal the bottle after opening – much easier than a regular cork. I havn’t personally used it, but it seems to stand up to the other options. As expected, the price is significantly higher than the regular cork and it hasn’t been around long enough to gauge the perception – i’m interested to see how it does in the marketplace. You can get a 30 pack of Zorks on Amazon for $20 – try them out, let me know what you think. What do you prefer using when bottling your Mead? Welcome back! Haven’t seen you around these parts in a few weeks. I’m digging that meadist bottle cap! Need to get some MeadMakr ones soon. I’m a fan of caps, solely because I find myself drinking more beer than wine (we talk about the options in Episode 3, meadmakr.com/episode3). I often prefer the appearance of wine bottles (although Crafted Meadery has an awesome capped bottle). But only using caps cuts down on having to keep multiple bottling options on hand. I used to have a link about aging with a cork compared to both twist and crown caps, but can’t find it. I’m pretty sure it found that crown caps are just as good as cork at aging, with twist off caps getting dinged for durability (the threads break after only a few re-cappings). That’s a bold statement to make without proof, so I’ll see if I can follow up with the link. Ha – I know, too busy with other things and kind of fell off. Also, congrats on the launch of the podcast and new site! Thanks! It’s been fun running the podcast thus far, and we have some awesome guests coming up in the near future. I tried to track down the cork vs cap link, and can’t find it. However, found this interesting article at lifehacker, http://lifehacker.com/cork-or-twist-whats-the-best-way-to-stop-up-a-wine-bo-509687539. Essentially, crown caps and twist off corks seal better than a regular cork, which depending on the wine may or may not be a good thing. Some wines benefit from a small amount of oxygen to smooth the tannins. Wines meant to be drunk at an early age are perfectly fine in crown caps or twist off plastic corks. Thank you for the informative article. Why not use a swing cap for long term storage? Also, what time frame do you define as “short-term” and “long-term”? There has been a bit of debate around that question. I’ve been fine with storing mead for an extended period of time with the swing cap bottles, though the rubber gaskets have been known to deteriorate over time. I also like keeping my swing-top bottles rotating with brews that get consumed more frequently since their easier to bottle with.